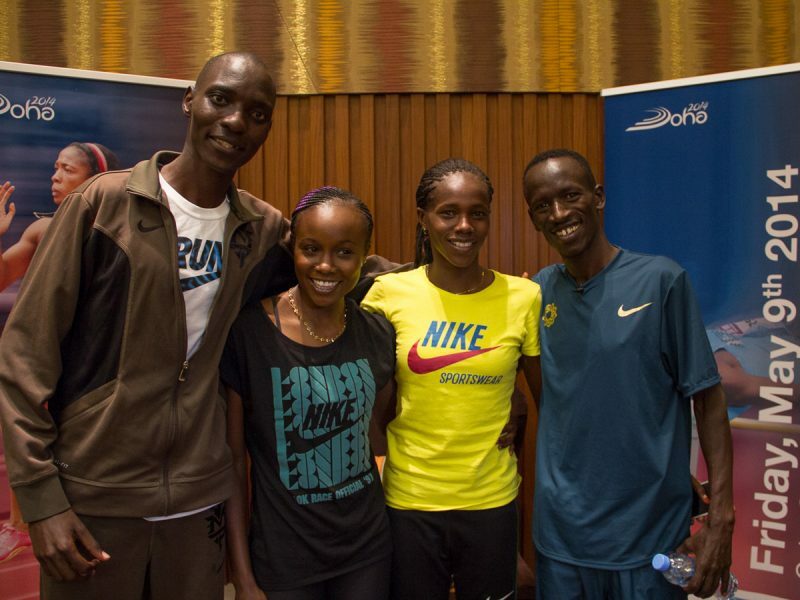 Kenyan athletes Asbel Kiprop, Eunice Sum, Ezekiel Kemboi and Mercy Cherono met with the media on Wednesday at the Intercontinental – The City Hotel ahead of their appearances at the IAAF Diamond League Doha 2014 meeting on Friday. Two-time world 1500m champion Asbel Kiprop returns to Doha to collect a second consecutive victory at the Qatar Sports Club but is expecting everything but an easy race. “The track in Doha is fast, the level of competition is very high and the conditions are always good,” said the 24-year-old who also raced to the Olympic title in 2008. Eunice Sum, who produced one of the biggest surprises at last year’s world championships in Moscow when she triumphed in the 800 metres, is also looking forward to the start of her first full Diamond League campaign. Her goals for the season? As the world champion, does she plan to race differently now that others will be targeting here? With two Olympic titles and three world crowns to his credit, Ezekiel Kemboi is one of the most decorated and experienced steeplechasers in history. Kemboi is also one of the most enthusiastic athletes on the circuit today, carrying and sharing an ever-present trademark smile. He too is eagerly awaiting his season’s debut. Kemboi clocked 7:58.85 that year, the second fastest performance of his career. He’s confident that he can faster. Not necessarily on Friday but at some point this season. Another Kenyan athlete, Mercy Cherono, the 2013 world championships silver medallist at 5000m, faces a tough task on Friday where she’ll face Ethiopia's Genzebe Dibaba, currently the hottest middle distance runner on the planet, in the 3000 metres. 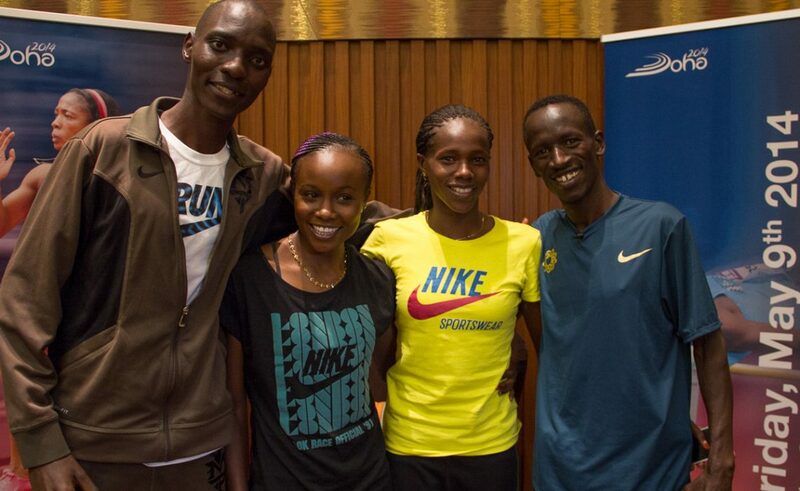 Of the four Kenyan athletes in Doha, she’s the only one that will be making her Doha debut. “This is my first time in Doha, it’s a very nice place. It is a bit hot here but I am very excited to race here,” Cherono added.